Australia, as a European colony, has been in existence since 1788. After his first landing, many other cartographers, traders and other curious explorers made frequent visits, attempting to map out the coastlines and ensure safe haven and suitable living conditions for humans. 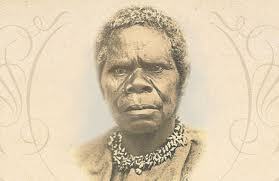 Regardless of the fact that this work occurred over the course of two hundred years, our lands were already inhabited by Oz’s own native Aborigines, people settled into tribes that spread across the whole of the land for many centuries, some say over fifty thousand years before white settlers arrived, with hundreds of different languages, dialects and ways of life. Once enough information and mapping was completed, Britain made the choice to occupy the island, mostly due to fear they would lose their standing in the world, should other countries attempt to claim the land as their own. Settlers were sent in by the boatload, the majority of which were British convicts. Over the course of the next few years, as development of a new and untouched land increased, what would eventually be known as the Land Down Under was seen as a great opportunity to expand Britain’s market and meet the growing demands of an advancing modern society. 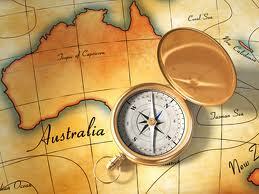 During the first few years, hardships were common in history of Australia. Death and disease spread, and settling was not as easy as was hoped for. Some of the convicts, ecstatic over their new freedom, even took to the outback and traveled freely from town to town, wreaking havoc, robbing other settlers and their businesses. However, nearly a century after Australia was settled in by the British, occupiers of other countries had descended as well, the majority of which were Irish. In 1901, a constitution was drawn up, and The Commonwealth of Australia was established. The settlers had taken control of their newfound land and their destiny and separated from Britain as a new nation. From then on, developments were improvised on, advancements were made with the world’s changing times, and Australia grew to become not only one of the most up-to-date and technologically advanced countries in the world, but also the highest-rated country to live in world as well. 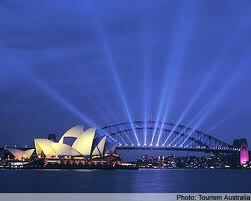 Australia has met or exceeded the world in terms of agriculture, mining, arts and culture, among many others. The most important of which being ANZAC Day, celebrated on April 25th in remembrance of the day the first settlers arrived to create what would then become our home. Our nation has come to welcome people of origins from across the globe, allowing their cultures and traditions melt with those brought from the earliest settlers, creating one of the most richest and accepting cultures known the world over.